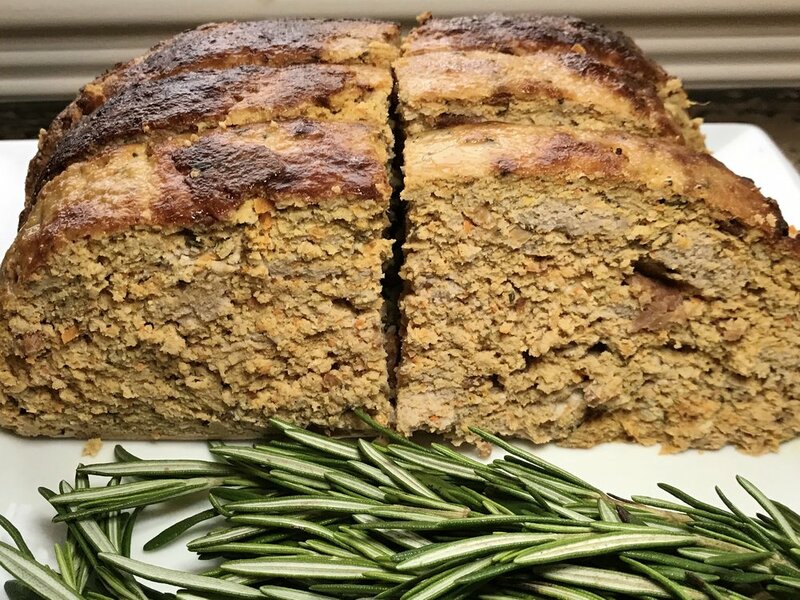 Well hello there bursting with flavor classic turkey meatloaf recipe! YUM! This was my husband's favorite meatloaf I've made so far. My kids love meatloaf too so this is a win, win for my family with them getting in their protein. What Makes this ground Turkey Paleo Meatloaf Recipe a win? It is made with lean ground turkey you can use 93/7. It is secretly loaded with vegetables and infused with lots of yummy spices and herbs! 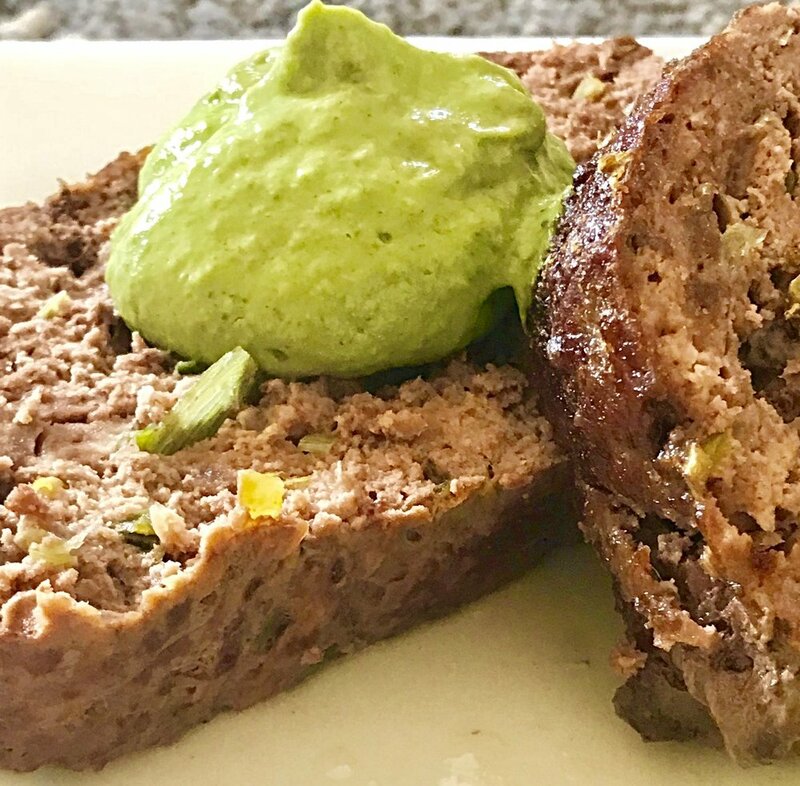 So you could say… this gluten-free Paleo meatloaf tastes amazing AND is super nutritious for you. BONUS! If you want to change up the spices feel free to do so! Maybe try dried oregano, basil, rosemary, or Italian seasonings instead of thyme. Mix it up and have fun! 2. Cook bacon to package directions or however you prefer your bacon to be cooked. My favorite is baked in the oven. After bacon is cooked, set aside to cool. 3. Grate carrots using a grating (or shredding) disc on a food processor. Store bought grated carrots will be too thick. 4. Chop and dice leek and set aside. 6. In a large bowl combine turkey, chopped bacon, leek, carrots, coconut aminos, salt, ricotta, and thyme. Mix by hand until all ingredients are well incorporated. 7. Place on a parchment paper lined cookie sheet and form into a meatloaf shape. You could also use a 9x5 loaf pan lined with parchment paper. Fill the loaf pan with meatloaf mixture. 9. Let meatloaf sit for 15 minutes before serving. Enjoy! You guys! This is soooooo easy and yummy! I wanted something last week to whip up quick for a nourishing meal but yet filling and full of flavor. There are a lot of times that I simply look in my pantry and figure out what I want to throw together. I always prepare over the weekend with buying fresh herbs of many varieties, fresh veggies, and any other veggies that I know I tolerate and will cook fairly quickly. When I'm coaching during the week I don't necessarily have time to prepare fresh meals every single day. So I rely on a few days of meal prep to give me quick healthy options. I don't normally eat anything over 2 days old because of my histamine reactions. The longer the food ferments in the fridge after it's cooked the higher the histamine reactions I have. So here we have it! Lets get to the recipe! Saute chopped carrot in 1T garlic oil for 5 minutes, add diced zucchini and saute until soft. Add in chopped herbs and 1/2 teas. Italian Seasoning and incorporate into vegetable mixture. In a separate pan saute ground turkey with 1T garlic oil, 1 teas. salt and 1/2 teas of ground pepper until done. Incorporate carrots and zucchini into pan with turkey, add the marinara sauce and heat. Garnish with fresh cilantro on top. You can also add fresh avocado which will increase your fodmaps. Typically you stay 1/4 or less to stay in a lower fodmap range. You will love this fresh easy dish. It's quick and fast and creates a balanced meal to nourish you throughout the day. Grilled Chipotle Cilantro Turkey Burgers are a fun twist on a classic grilled burger. Fire up your grill and enjoy this healthy, simple, and delicious easy to make Chipotle Cilantro Garlic Gluten Free and Low Fodmap Turkey Burger! My love for an amazing juicy burger runs deep. I actually spent over an entire decade not eating red meat but once they were re-introduced back into my diet about 6 years ago after finding a grass-fed sustainable farm I loved, I’ve never looked back! I don’t eat beef very often, maybe once or twice per month, turkey burgers are a once a week meal around our house. My family and I enjoy eating a juicy burger especially when the weather is nice outside and we can eat on the deck and grill outside. You will find they are so simple to make, and just as juicy and flavorful as a regular burger, but much less calories. What I love about grilled turkey burgers, is that it’s so easy to really add a ton of flavor. For this recipe, I used Chipotle peppers in adobo sauce, fresh chopped cilantro, salt and garlic oil (you could use real garlic if you are not fodmap sensitive). In a medium sized bowl, mix together chipotle pepper, adobo sauce, cilantro, garlic oil, and salt. Mix with your hands until all ingredients are well incorporated. Form mixture into 4 patties. Place in a cookie sheet or large plate, and refrigerate for at least 20 minutes. I've skipped this step and have found them to be just as flavorful. Meanwhile, warm up your grill to medium hot. Place burgers on the grill, and cook for 5-8 minutes per side or until internal temperature reaches 165 degrees. Remove and serve on top of a hamburger bun, or in a lettuce wrap. Top with your favorite toppings and enjoy! My favorite is the lettuce wrap with my creamy avocado sauce on top! Paleo turkey meatballs are a healthier alternative to red meat-based meatballs. My version is gluten free, grain free, and low carb. Trust me when I say they are not bland and tasteless. They are actually moist and full of flavor, thanks to the unexpected addition of dairy free Kite Hill Ricotta and fresh spinach. These turkey meatballs can be fried in a pan or oven baked, depending on your preference. Once cooked, they’re freezer-friendly, too! I prefer the baked version because it keeps the fat on the lower range. I often fit in macros throughout my day so I like to save my fat for ohhhhhh lets say something like almond butter! I love turkey meatballs because they’re a little leaner and lighter than your typical meatball might be. So, the calories are bit lower than traditional red meat. If you haven't tried a turkey version meatball yet I encourage you to do so! I happen to eat my meatballs for breakfast with one of my muffins. It's a perfect protein source and when you are egg and dairy free they can be a life savor! In a food processor take the spinach and process or pulse until it is finely ground. Take turkey out of packages and place in a large metal bowl. Add the processed spinach to turkey then add remaining ingredients, salt, ricotta, curry powder, ground ginger, hot madras curry powder, garlic oil and turmeric. Mix all ingredients together until all ingredients are well combined. Line pan with parchment paper; set aside. Start to form your balls and roll into meatballs. Spinach also contains several other vitamins and minerals, such as potassium, magnesium, and vitamins B6, B9 and E. Bottom Line: Spinach is an extremely nutrient-rich vegetable. It contains high amounts of carotenoids, vitamin C, vitamin K, folic acid, iron and calcium. So this meatball packs a punch in the nutrient department with iron at 2.17% and potassium at 10.5 mg.
You can also freeze the meatballs and warm them up for quick lunch options for a fast nutrient dense protein. I often times double the recipe to have them on hand when I get into a bind later in the day or don't have a lot of time to make myself protein with my evening meal. 2. Heat the oil in skillet over medium heat. Add the leaks, garlic oil and jalapeno and season them with the salt; cook until the onions are soft, about 5 minutes. Transfer to small bowl and set aside to cool. 3. In a separate bowl add ground beef and pork, cumin, egg in a mixing bowl. Add the leeks and work everything together with your hands. 4. Shape the meatloaf on a rimmed pan, bake 40 minutes or until internal temperature reaches 160 degrees. 5. Let cool and slice, serve with a side of broccoli or your favorite vegetable. Orange Chicken is a favorite here in my house! It's also a favorite all time Chinese dish. 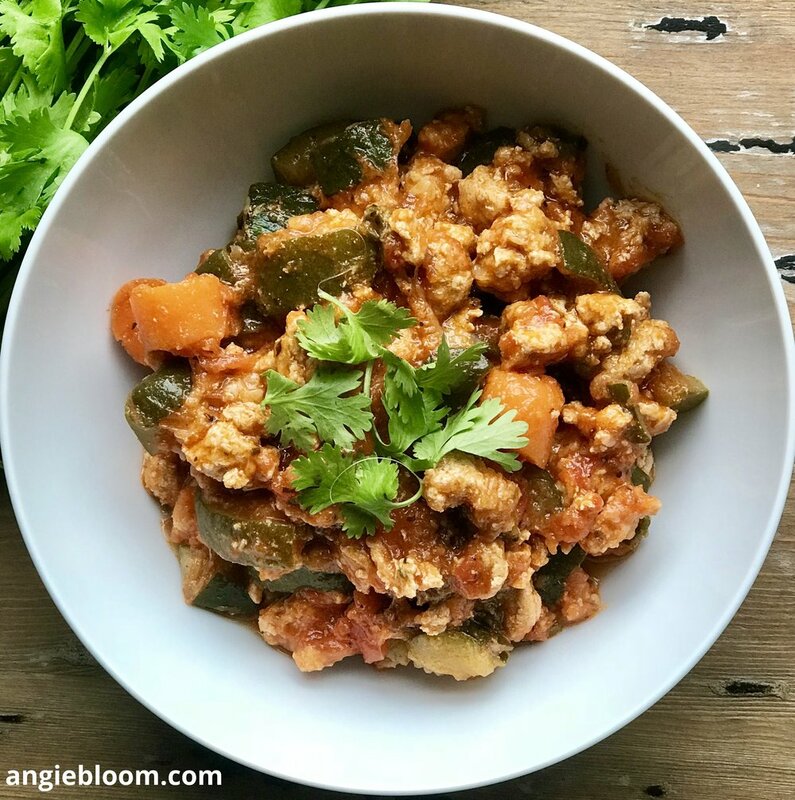 Try this lightened up version which is Paleo-friendly, gluten free, soy free, dairy free and grain free, but definitely not lacking flavor! Once finished let instapot release pressure, remove chicken and cut on a vertical to slice in to chucks and add back to sauce. Serve over zucchini noodles, butternut squash noodles, broccoli or like in my photo what I had on hand was zucchini that I roasted in the oven. This yummy delicious EASY grilled Mexican chicken salad is great for any time of the year. Create a marinade that fills your chicken fillets with flavor. While waiting for your chicken to marinade you have plenty of time to create an easy dressing to dress your salad. This salad will not only excite your taste buds with the amazing marinade but also help spice up your chicken and salad. I would recommend using fresh organic chicken breasts. Make the marinade first, combine ingredients in a dish and add the chicken, cover and place in fridge up to 2 hours or over night. The longer the better! Make the Pico de Gallo by combining all ingredients in a bowl, cover and place in fridge. Chop 1 head of romaine lettuce (course chop). Place in bowl. Set aside. Fire up the grill and heat to 500 degrees F. Place chicken on grill and cool for 4-7 minutes on each side. When finished and juices run clear, slice diagonally and set aside. Add egg to food processor, slowly add in oil. Slowly it will start to firm up to a Caesar salad dressing consistency. Continue to add red wine vinegar, prepared mustard, salt, pepper and Italian Tuscan Herb Seasoning. On your plate place your lettuce approximately a handful of greens. Layer the sliced chicken on top, add 1/4 cup of Pico de Gallo (salsa) on top of chicken. You can add sliced avocado as well 1/8 cup to keep low fodmap. I also added 1 grilled tomato from the grill to my salad. I loved the taste factor of a grilled warm tomato on top as well! Need a burger fix?! If you find yourself craving a burger but don't want to do the bun then why not try the no bun burger salad?! There are paleo wraps out now and options to make a mushroom bun but another way to get the same flavor without the fuss of a bun is to simply turn your hamburger into a salad. Dill pickles, cherry tomatoes, lettuce, and grass-fed ground beef give you all the classic flavors of a hamburger in this vegetable-heaven. Then all you need to do is add a dressing that combines ketchup, organic mayonnaise and an extra hint of pickle and vinegar for bite. You could pair this with a side of sweet potato fries or butternut fries for a classic summer taste that is completely healthy! Or like my photo above for a crunch I simply added some plantain chips for a kick and crunch. Cook hamburger patties on a grill to medium doneness, around 4-5 minutes per side. After flipping the patties. Allow patties to rest for 5-10 minutes then cut each patty into bite-size pieces. Drizzle on top of salad and enjoy! So easy and yummy! Enjoy! 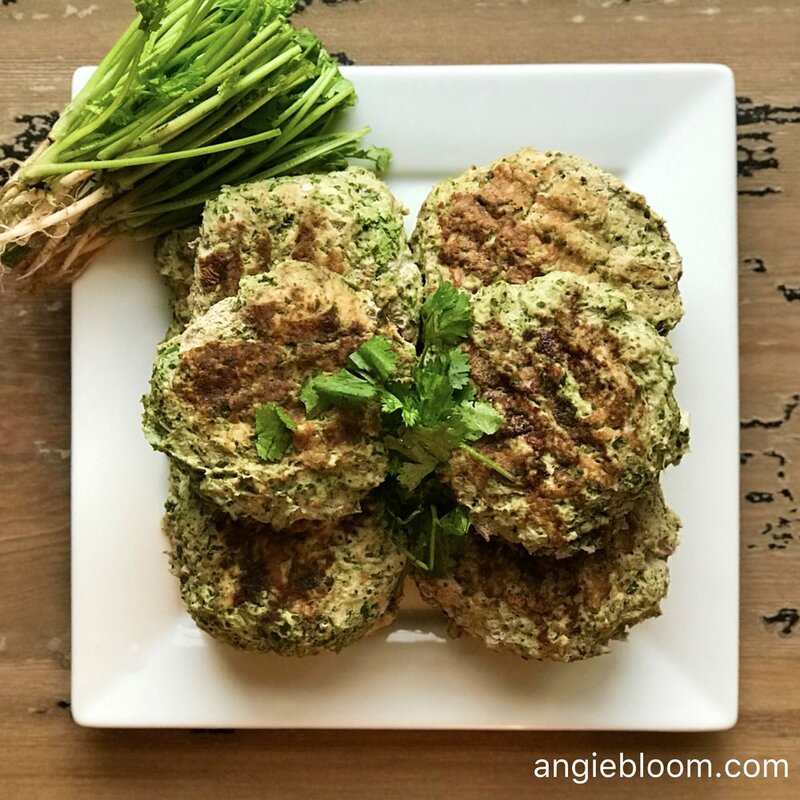 While I'm just finishing up my 8th round of SIBO treatments I'm finding I gravitate towards all veggies that are cooked through and presenting a softer texture. This is where my Insta Pot comes in very handy! I simply prepare my veggies and place into the Insta Pot and my lunch for the next 3-4 days is ready! Please note, if you are reacting to histamines you will want to be careful with leftovers. I started preparing 'soup' every single day in the beginning of my treatments 2 years ago because I was reacting to EVERYTHING. So just be aware this makes a bigger batch to last for a few days. I personally react to histamines from the fermentation of any leftovers. I can now though successfully eat this stew for 3 days and then the fermentation starts to really make my histamine reactions come on full steam. I'm usually ok with chicken as long as its organic and pasture fed. If my chicken is fed grains or is not organic it is likely I will react. The symptoms I receive from histamines are itchy skin, hives at times, itchy scalp and tinnitus. I also know when I've simply had too many histamines because forget falling to sleep that night with the whistles blowing through my ears! Please note, these veggies work for ME. If you have a hard time tolerating any of the veggies mentioned in the recipe below, please swap them out for what works for you! Whatever you do don't give up! Trust me! Having chronic SIBO for the past 2 years I've learned not to get discouraged. If you react take out the offending food or simply try reducing it and seeing if that helps! Every single week is different as we continue to heal ourselves. Stay positive! 1. Take cilantro and remove bottom of stems. Rinse. Place in blender and blend with 1/2 cup of water to make a liquid. Reserve. 2. Take chicken thighs and chicken breasts and place on bottom of instant pot. Add 2t of salt to chicken and 2T of turmeric and 2T cumin. Rub around chicken to coat evenly. 3. Cut veggies, fennel, carrots, zucchini and leek. Place on top of chicken. 4. Pour 3-4 cups of already pre-made of homemade bone broth on top also add 4T of tomato paste. 5. Pour reserved cilantro mixture over veggies and chicken. 6. Cover and lock the lid in place. Make sure it is sealed. Turn instant pot on and set 12 minutes cook time on high pressure. 7. Open the lid away from your face. Stir with a wooden spoon or spatula. There you have it! 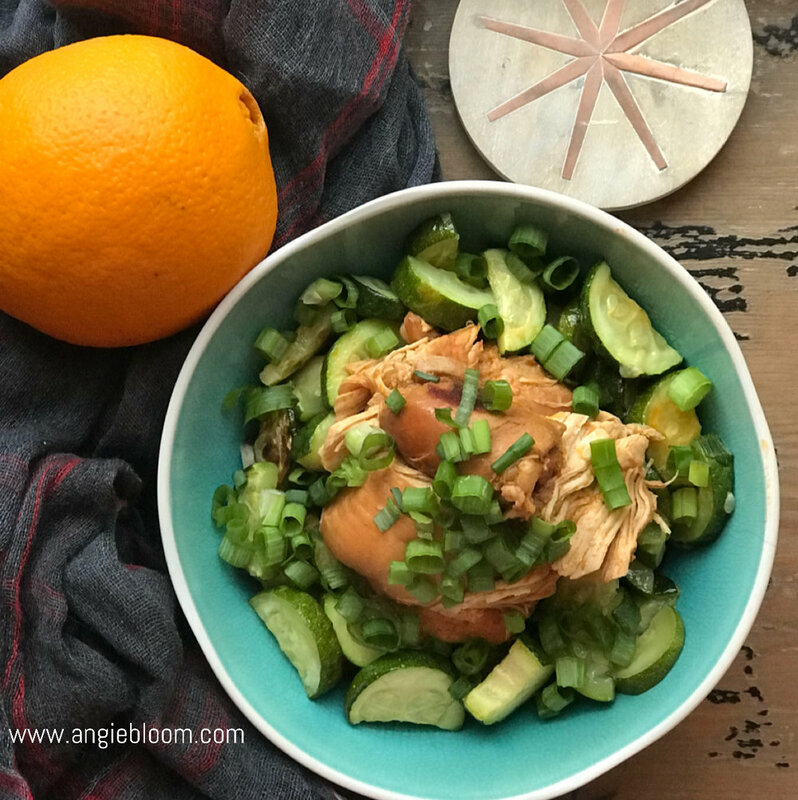 One of my GO-TO lunchtime meals while healing from SIBO! This stew is wonderful even if you aren't having a flare from SIBO and/or IBS. It's simply that good! My dinners tend to be quick and easy. Especially with the kids in tow with their various sports. After a full day with clients as well I need quick, nutritious and fast to the table nutrients! This dinner tasted so FRESH & DELICIOUS! Pair it with any veggie and/or clean carbohydrate and you've got yourself a perfect plate! This dinner is SIBO (small intestinal overgrowth) approved. Enjoy! 1. Drizzle garlic oil on chicken breasts and rub around; sprinkle with salt, black pepper, rosemary, and basil. 2. Preheat over to 375 degrees F (190 degrees C). Bake for 45-60 minutes until juices run clear. A thermometer should read 165 degrees F (75 degrees C) in the thickest part of the breast.